Click to see more pictures of this chest. 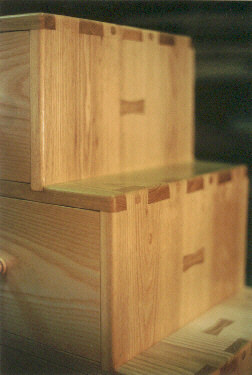 Click to see pictures of CD Cabinet drawers. Chest Stand on the work bench. 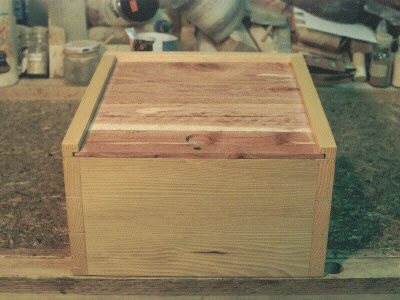 Drawer underside showing the aromatic red cedar bottom. This CD storage chest holds approximately 540 CD's but may be built to hold a larger or smaller amount by varying the depth of the cabinet. 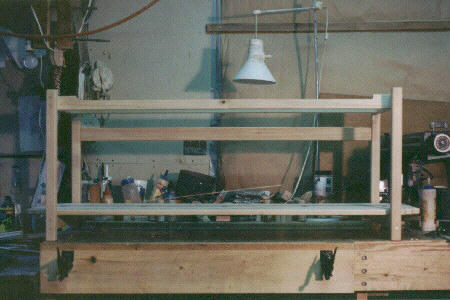 Construction here is of solid ash, although as in most cabinets, many other varieties of wood will work. The "stepped" or "staircase" type of construction is an interesting feature that highlights the intricate joinery used throughout this piece. 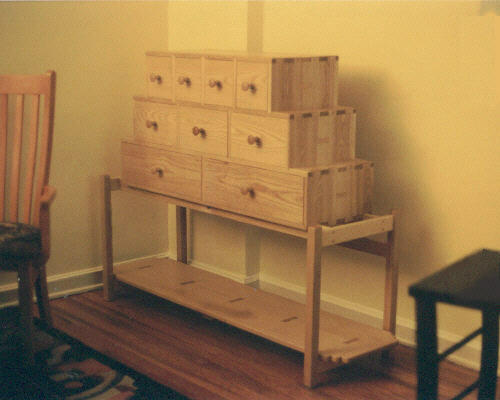 The chest itself, rests on a stand, which is a separate unit. As always, the substantial methods of construction used will ensure a lifetime of enjoyment.